In this strategically important African country, militias now roam the streets, the U.S. State Department staff has been evacuated and the president-elect remains a virtual prisoner in a downtown hotel. By Firouzeh Afsharnia. In this strategically important African country, militias now roam the streets, the U.S. State Department staff has been evacuated, and the president-elect remains a virtual prisoner in a downtown hotel. By Firouzeh Afsharnia. To avert a regional crisis that could spiral into violence, African leaders on Monday traveled to the Ivory Coast, bearing gifts of amnesty and security for Laurent Gbagbo to persuade him to step down. In the month since elections produced not one but two presidents, the country has teetered on the abyss of violence. Although the United Nations has declared that Gbagbo lost the election, the former president has refused to accept the result, and has clung to power with the help of the army and the state media. Last month, Gbagbo let himself be sworn in, in regal fashion, wearing a sash and preening in front of the cameras by the presidential palace. For the world’s largest cocoa producer, which supplies about 40 percent of the world’s cocoa, the price of chocolate isn’t the only thing in play. As youth militias loyal to Gbagbo mobilize, conducting nightly raids, abductions, and torture in the opposition neighborhoods of Abidjan, there are fears that the country could relapse into large-scale violence with considerable human and economic costs, possibly affecting the entire region, which relies on this country’s commercial port. The U.N. has warned of possible civil war and the U.S. has evacuated State Department personnel. Fear of a $30 million interest default has already made the international bond markets nervous. And in the past month, the U.N.’s refugee agency, UNHCR, has logged almost 20,000 refugees, mostly women and children fleeing the crisis to neighboring Liberia—itself a fragile state, newly emerging from conflict. For the world’s largest cocoa producer, which supplies about 40 percent of the world’s cocoa, the price of chocolate isn’t the only thing in play. The actual winner, Alassane Ouattara, has meanwhile hunkered down at the Golf Hotel, a virtual captive in the country where he has just been elected president. (French journalists have nicknamed him the President of the Golf Hotel Republic.) The only thing standing between Ouattara and Gbagbo’s army are 800 U.N. peacekeepers—each force behind their respective lines, leaving no choice but to airlift food and supplies to the hotel, where the grounds and structure have been transformed into makeshift ministries and cabinet offices. Looking for other means to dislodge the previous president from power, the Central Bank of West African States has ceded control of the state funds to Ouattara in an effort to choke the economic lifeline of Gbagbo. How loyal his ethnically stacked army will be once he runs out of money will be interesting to see. In further attempts to isolate Gbagbo, the African Union has suspended his membership, and regional allies have even raised the possibility of the use of “legitimate force” to remove him—a threat they have since backed away from. All this talk of intervention raises the question: In an increasingly global and interdependent world, where actions have far-reaching consequences, often implicating those who had no part in the decisions, and where world bodies are tasked to pick up the pieces, is the sovereign nation destined to become a relic of the past, to be relegated to the dustbin of history along with feudal states and walled cities surrounded by moats? The last century witnessed the creation of global institutions—the International Criminal Court, the International Court of Justice, the World Trade Organization, and the many U.N. agencies—all supra-national institutions with global mandates, yet subject to sovereign whims of national or personal interests. Consequently, Omar Bashir remains free in spite of ICC indictments; the West Bank is fast becoming an Israeli colony in spite of the ICJ rulings; the West continues to push for agricultural subsidies that favor their own to the detriment of poorer nations; and the U.N. remains handcuffed by the narrow mandate it is given after the big five settle on the lowest common denominator on the Security Council. "So, as the world connects tighter in a knot and the world witnesses its first test case in challenging Ivory Coast, sovereignty may be the last sacred cow offered at the altar of the juggernaut of globalization." 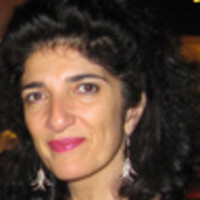 Firouzeh Afsharnia was born in Iran and immigrated to the U.S. during the Iranian revolution. She was part of the U.N. Peacekeeping Mission in the Democratic Republic of the Congo, where she lived for two years. Afsharnia holds an MBA from University of Southern California and a master's in International Service, with a focus on Conflict and Africa, from American University. She has traveled extensively in Africa, consulted for the World Bank and served on election missions with the Carter Center in Nepal, DRC, and Ivory Coast. She lives and writes in Los Angeles.